For decades, just about, I usually rolled out of bed in the predawn, gulped coffee while browsing the news (and newsfeed) or working on my website/blog, and departed for the office some two hours later, right around 7:30am. I maintained that early-to-rise routine on weekends, too – even if we were out late the night before. It was just the way of my life. These days, however? Most weekdays, I wake late, don’t turn on the computer until the night, and barely glance at my iPhone until I arrive at the office around 8:30am. 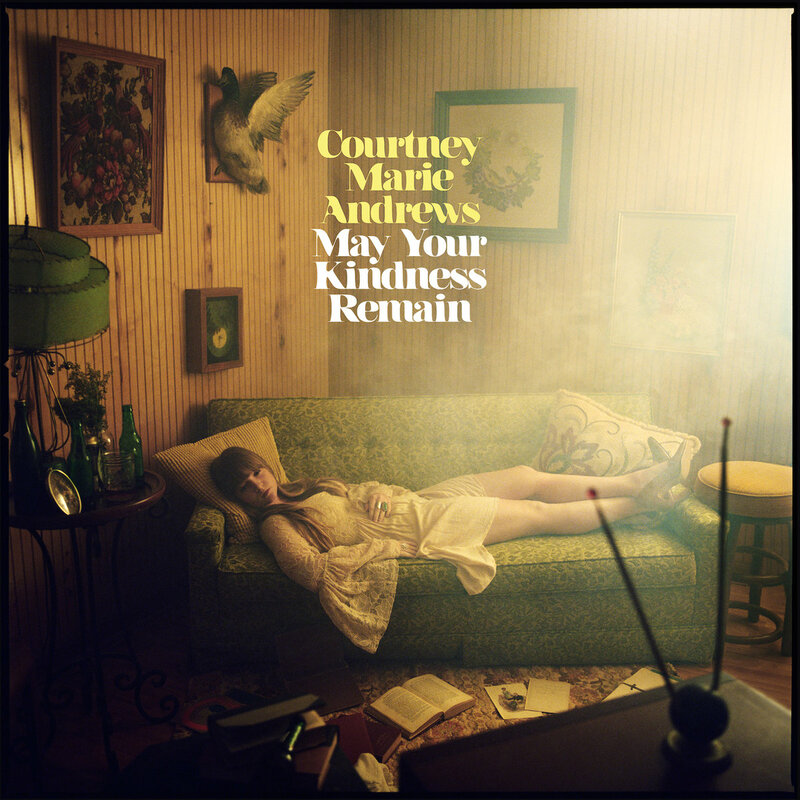 So it was somewhat serendipitous that I fired up the MacBook this past Thursday morning – albeit for just 10 minutes – and discovered, by way of Facebook, that NPR’s First Listen was none other than Courtney Marie Andrews’ May Your Kindness Remain album, which is due out on March 23rd. But, mostly, the echoes are just that – echoes. Courtney synthesizes those (real or imagined) influences into a tasty gumbo of her own. Lyrically, she makes the universal personal and the personal universal. Whether or not she lived the experiences, “Lift the Lonely From My Heart,” “Rough Around the Edges” and “Took It Up” sound like the confessions of a battered soul. (From “Took It Up”: “Is it the journey or the destination/is this love or is this addiction/circumstances are meant to be/what does that say about you and me?”) The piano intro in “Rough Around the Edges” – which is just a stellar song – is akin to a soft wind carrying the melody of a long-ago tune, though which one I can’t yet identify. On the flip side, she sounds contented in “This House,” which – though it’s not much of a house – she considers a home. I’ll have more on it in the coming weeks. But this much I can say now: Once the album drops next week, I’ll be playing it over and over, and over, again. Rough around the Edges is my favourite from the live shows I’ve seen. I’m waiting to review until the release date. Nice to hear your thoughts!